Volkswagen Golf Alltrack 2.0 TDI 184 5dr DSG 2019 Review | What Car? You get loads of equipment as standard, including 17in alloys, an 8.0in touchscreen infotainment system, LED headlights, digital instrument dials and climate control. 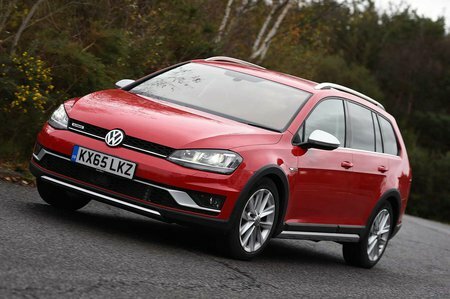 That’s on top of all the Alltrack-specific features, such as raised suspension and hill descent control. A more powerful version of the same 2.0-litre diesel engine found in the entry-level model. We don’t think it’s worth the extra, unless you really want an automatic gearbox, which comes as standard.